The Subaru BRZ is seven years old and seems to get lost in the conversation these days when it comes to fun, affordable sports cars. When it comes to being cool, Kelly Blue Book (KBB) says the 2018 Subaru BRZ sports coupe is one of the 10 Coolest Cars Under $25,000 in America. KBB says some cars are unquestionably cooler than most, and the BRZ is one they picked as among the most fun, stylish and/or spirited cars available under $25K. BRZ checks all the right boxes but one, and it's not the turbo model KBB says is missing. KBB says you may not like this car if you want the wind in your hair. Subaru doesn’t offer a BRZ convertible, and won't likely ever build one because of safety. “If you want the sun on your cheeks, the Mazda Miata and Ford Mustang are your best bets at this price point,” says KBB. Here are KBB’s 10 Coolest Cars Under $25K from last to first. #10 2018 Ford Fiesta ST, Jeep Wrangler, Hyundai GT Sport, Fiat 124 Spider, Mini Cooper S, Mazda MX-5 Miata, Subaru BRZ, Volkswagen Golf GTI, Chevrolet Camaro, and #1 Ford Mustang. BRZ Premium ($25,595) and Limited ($28,445) trims now include Welcome Lighting which provides better nighttime visibility when approaching or exiting the vehicle; automatic headlight activation when wipers are turned on; and one-touch lane changer turn signal. Both manual and automatic models receive a high-grade leather shift handle as standard equipment. Subaru continues with the BRZ Performance Package ($1,195) available on Limited trims with the manual transmission. The brake system is upgraded to Brembo four-piston calipers and rotors on the front and dual- piston calipers and rotors on the rear. Sachs Performance shock absorbers are added to all four corners for improved ride and corning stability. Also included in the package are unique 17- in x 7.5-in black aluminum alloy wheels. Subaru released another cool model, the Limited Edition BRZ tS (tuned by STI), priced at $33,495, and is limited to 500 units. 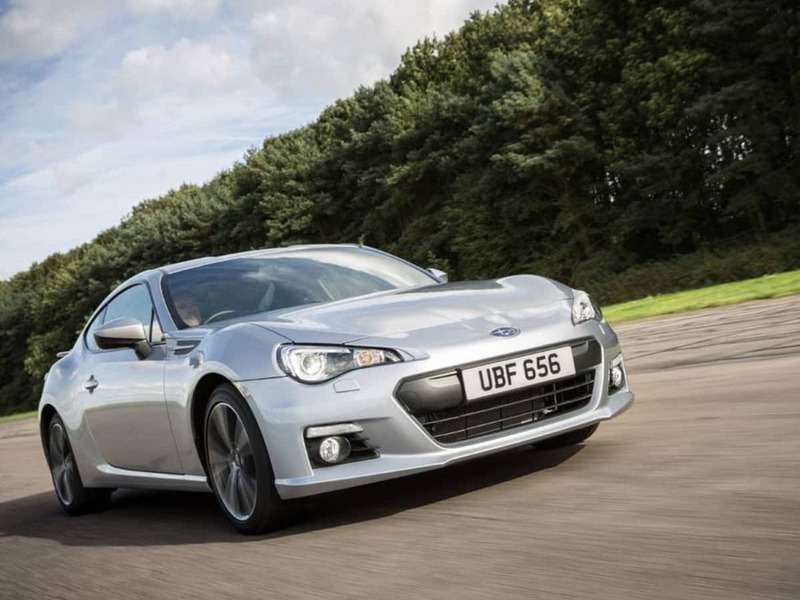 Read our full review of the new 2018 Subaru BRZ tS here. You don't need a Turbo. Just get the OFT Stage-2+ setup and you'll see a difference.